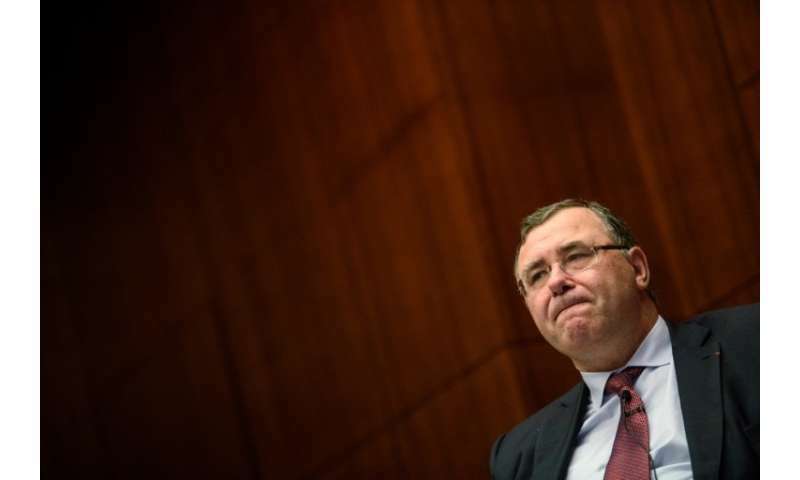 The CEO of French oil giant Total said Thursday he would not be surprised to see the price of a barrel of crude reach $100 later this year. "We are in a new world. We are in a world where geopolitics are dominating the market again," Patrick Pouyanne said at an event held by a Washington think tank. Oil prices have risen steadily since the summer as producing nations attempt to rein in supply and amid fears of geopolitical instability. Toward 0950 GMT, a barrel of North Sea Brent briefly passed $80 for the first time since November 2014. Market ripples from Venezuela's economic distress and President Donald Trump's decision this month to exit a joint sanctions deal on Iran's nuclear program have pushed prices higher. Economists warn that rising oil prices pose a danger to the current economic expansion and could dull the effects recently enacted US economic stimulus. "OPEC and Russia have been implementing their policies efficiently," Pouyanne said, referring to the Organization of the Petroleum Exporting Countries' efforts to clamp down on supply. OPEC and Russia have held to production limits since early last year to boost prices. "And on top of it, you have the announcement on Iran, which is pushing the price up," said Pouyanne. "So I wouldn't be surprised to see $100 per barrel in the coming months." Pouyanne said Iran had raised production by a million barrels a day after sanctions were lifted under the 2015 Iran deal. But this increased production was now in doubt due to the looming re-imposition of US sanctions, he said. "On top of it you have Venezuela," said Pouyanne. "The situation is catastrophic and the production is declining." Venezuela, which has the largest proven oil reserves in the world, has seen production plummet amid the acute economic crisis that has left it unable to conduct maintenance or expand output. That has been exacerbated by legal rulings against Venezuela's state oil company PDVSA, including in favor of ConocoPhillips, which last week enforced a $2 billion award at four PDVSA facilities in the Caribbean.